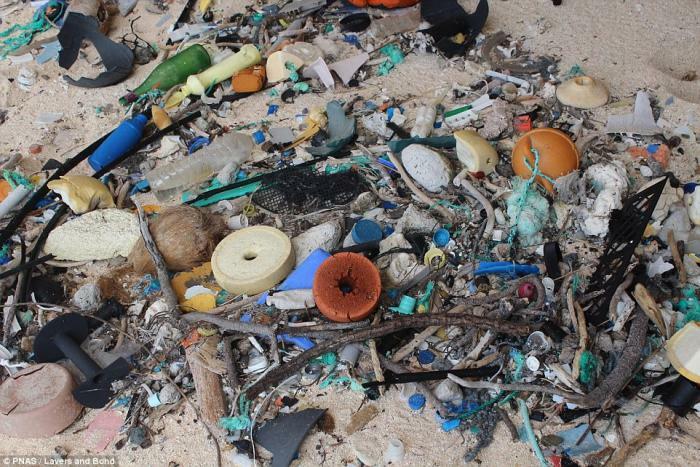 Hundreds of pieces of plastic wash up on Henderson Island's shores every day. A once beautiful uninhabited island, a sanctuary to multiple endangered species, is now revealed to be the most polluted place on Earth with 17 tons worth of plastic resting on its shores. 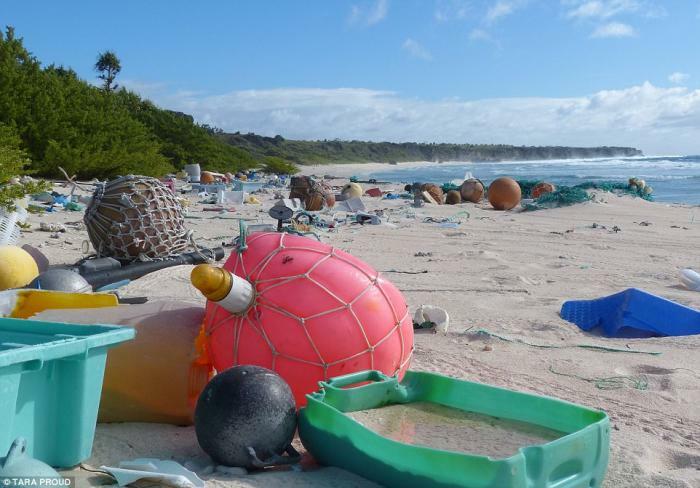 Miles from civilization, Henderson Island is still covered by plastic pollution. LOS ANGELES, CA (Catholic Online) - Henderson Island, only 14.5 square miles long, is a territory of the UK and lies in the South Pacific, thousands of miles from civilization. A recent trip and "landmark research project" from Dr. Jennifer Lavers of the University of Tasmania and Alexander Bond of the Royal Society for the Protection of Birds exposed the shocking truth that lies on Henderson Island. More than 37 million pieces of plastic trash have washed up on the shore and threaten the wildlife. Although the surface is visibly covered in junk, the problem doesn't end there. Sixty-eight percent of the estimated plastic is buried under the beach's sand. 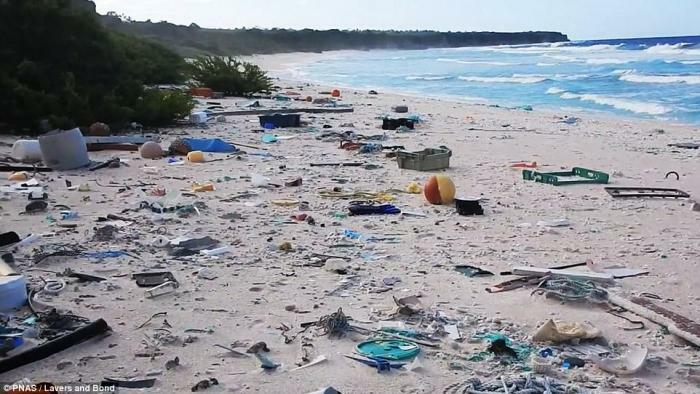 "Rarely visited by humans, Henderson Island and other remote islands may be sinks for some of the world's increasing volume of waste," explained Dr. Lavers and Bond. "Here we document the amount of debris and rate of accumulation on Henderson Island, a remote, uninhabited island in the South Pacific," wrote Dr. Lavers and Bond in the Proceedings of the National Academy of Sciences. "The density of debris was the highest reported anywhere in the world, up to 671.6 items per meter squared on the surface of the beaches." According to Dr. Lavers, Henderson Island is by far the worst example of the nightmare human activity wreaks on what should be a paradise. "The quantity of plastic on Henderson Island is truly alarming and takes your breath away," she expressed to Daily Mail, noting the island was very hard to reach. Dr. Lavers had to take five flights from Tasmania and travel for three days on a chartered ship. According to Dr. Lavers, no public access is allowed on the island, with only researchers allowed on the shores. "It's almost off the map, it's like it doesn't exist," she stated, explaining the last visit by researchers was in 2011. This means every single piece of garbage that has landed on the shores of Henderson Island washed up from the ocean, and every day more plastic piles up. "We could not go all that way and not do something about it," said Dr. Lavers. "Once plastic is in the ocean, it's virtually impossible with current technology to get it out. The focus needs to be on preventing it from getting it there in the first place." According to Dr. Lavers, the plastic pollution will probably affect the rare green turtle nesting sites, because the massive litter deters females from laying their eggs. "The plastic is very old and brittle and toxic. To have wildlife living inside our waste, that's not something we want to continue," expressed Dr. Lavers. 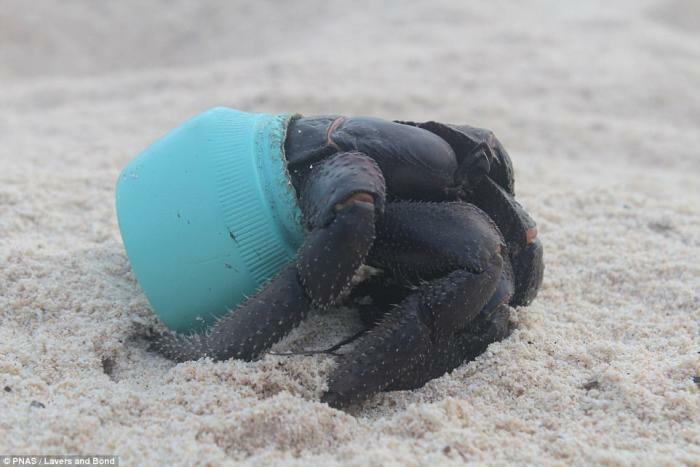 "We don't want our beaches covered in plastic for turtles and so many other reasons." Dr. Lavers' goal is to educate people to stop littering on beaches and to use less plastic. "You need to bring it down to a realistic level with realistic, manageable targets or people get overwhelmed and shut off."